Led by the UAE's strong economic growth and its status as a safe heaven, the number of millionaires in the UAE will increase substantially over the next decade as it will attract many high and ultra-net worth individuals to the country. According to latest Income and Distribution Model released by Euromonitor International, there were 45,800 high net worth individuals in the UAE last year with net worth of $1 million and total net wealth at $169 billion or on average $3.7 million. 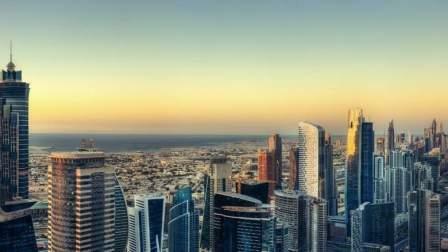 The number of millionaires in the UAE is expected to grow by a high rate of 8.5 per cent annually and by 2030 it is forecasted that there will be 142,800 millionaires with combined net worth of $533 billion. "With healthy growth rates comes the increase of residents millionaires, however, majority of the growth in numbers of high net worth individuals (HNWIs) comes from the immigration; UAE is perceived as regional safe haven and it attracts many high and ultra-net worth individuals who move their assets to UAE from more turbulent countries," says Nikola Kosutic, Research Manager, Middle East, Euromonitor International. He pointed out that most of these affluent people will migrate from Turkey, followed by India, Pakistan and Iran. Kosutic sees the UAE economy growing by an average rate of 6.1 per cent over next 10 years and average disposable income is expected to witness annual growth rate of 7.5 per cent over the same period. Euromonitor data showed that the ultra high net worth individuals with more than$50 million wealth are projected to increase from 2,000 in 2016 to 7,000 by 2030, an increase of 250 per cent. Similarly, the number of affluent people with assets between $100,000 to less than $1 million were 927,800 in 2016 which will grow to 2,421,800 by 2030 - an increase 161 per cent. Kosutic revealed that the highest proportion of NHWI individuals' income is spent on housing including properties bought as an investment. From discretionary items large chunk of their income is spent on luxury goods. Spending on the luxury goods in UAE in 2016 was estimated at $11.5 billion with luxury cars and luxury apparel items leading the sales with $3.2 billion and $1.9 billion, respectively. Vijay Valecha, Chief Market Analyst at Century Financial Brokers, claims HNWI's would be spending most of their wealth on financial and real estate investments. "Dubai is still the Middle East's top city for luxury spending and this trend is set to further grow in the coming years. Cars, yachts and luxury collectibles will dominate the spending of the HNWI's. Dubai ranks 5th in the world as a place to live for HNWI's. The growth rate of millionaires could be surpassing 16 per cent by 2018, which would be one of the highest." He said lifestyle, entertainment, healthcare and education are the sectors that will continue to see tremendous growth. Dubai is attracting institutional and foreign investments inflows like never before for traditional as well as startups.